Choice is good. Variety is the spice of life. In my case, and as Joe will attest to, it’s more a case of the paradox of choice. The amount of time it takes for me to decide on a beer is proportional to the number of craft beers on tap in a bar. This probably explains why Joe doesn’t like drinking with me. But I digress. If you’re happy drinking lagers, then this article isn’t for you. If you’re happy drinking anything and everything, then you’ve come to the right place. The number of taps must be consistent – sometimes the number of taps vary but these bars usually have at least 90% of the stated number of taps on at any one time. Cost – we’re not concerned with cost in this article. If you want cheap beers than check out our happy hour guide or our cheap beer guide. Styles – we’re looking for variety as well. Somewhere may have 30 taps, but if 15 of them are IPAs, then it’s not really varied enough for us. No bottles – again bottles come and go and aren’t consistent. This is kind of a given really. 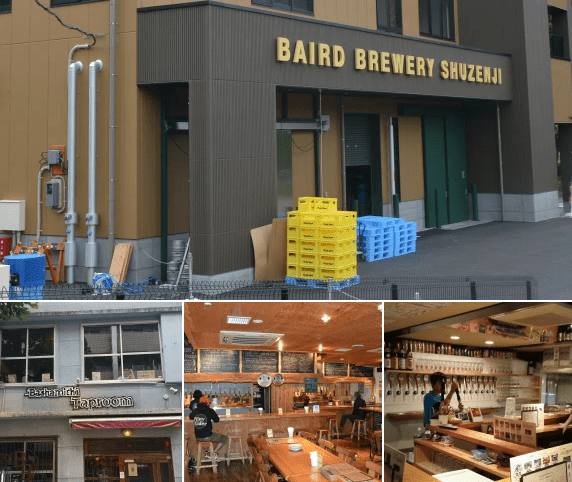 Tokyo’s oldest craft beer bar also has the most number of taps (70+ at the last count) and tends to have a variety of styles on as well – ranging from lagers to imperial stouts and everything in between. The focus does vary from time to time but there is bound to be something that you might not have tried. While it is a must visit at least once in your craft beer drinking days, it’s always busy and is no longer one of the cheapest places in Tokyo to drink. If you’ve heard of craft beer in Japan, then no doubt you’ve heard of the monster craft beer chain that is Craft Beer Market. They’ve dominated the craft beer scene since opening in 2011 and have begun to spread out, with an Osaka branch in 2017 opening. However, not all of the branches are equal in terms of variety of tap numbers. All the branches have a minimum of 25 taps, with three of those dedicated to macro beers. You can’t really go wrong if you like IPAs at Craft Beer Market or light coloured beers though dark beer fans may have some problems. Good Beer Faucets has been offering up a minimum of 30 taps of craft beer since 2011; however, this does stretch up to 40 at times. There is a wide selection of beers within styles, with most styles having at least two or three beers. The beers do change often though and at times are not replaced until the lines are cleaned thoroughly – a definite plus point for the place. The prices are your usually Tokyo prices for domestic beers but the imports do start to get pricey as the ABV goes up. The happy hour at Good Beer Faucets makes trying the amount of beers on tap a little bit cheaper too. While the two Ginza locations only have around 10 taps on, the Shimbashi branch is the standout one in the small, growing chain. It opened in 2017, just down the alleyway from Shinshu Osake Mura and is a well welcome addition to the area. They have a maximum of 30 taps on, though it’s usually around 25 to 30. Craft Beer Bar iBrew Shimbashi also regularly update their tap list with a good variety of beers from across Japan too. And at ¥780 for their large beers, they are also reasonably cheap too. Another chain branch makes its appearance on this list, with four branches across the Kanto area. All of the branches tend to have 25+ beers on tap, with quite a varied selection of beers on tap. All of the branches source beers from across Japan and we’ve come across some beers that we’ve not seen elsewhere. On occasion, Craftsman also have tap takeovers as well. The prices are quite reasonable, though not as cheap as Craft Beer Market really. Surely everyone has heard of Devilcraft by now – a small chain of craft beer bars with Chicago-style pizza? The taplist varies from location to location, but you can’t really go wrong at either the Gotanda or Hamamatsucho branches. These tend to have 20+ taps of both domestic and imported craft beer on tap. Combine that with a decent happy hour discount then you can try a fair few beers. The main downpoint is that the beers tend to focus more on the pale ales and IPAs, though they do have a few examples of other beer styles. Devilcraft should also be commended for having daily taplists posted on their homepages – something other bars could learn from. Located in Roppongi, Two Dogs Taproom took over the old Gas Panic space and is one of Roppongi’s most popular places for craft beer. There are usually a minimum of 20 taps of craft beer on, though this number does increase to 25 at times, with plans for 30. Two Dogs offers up a range of both domestic and imported craft beer, with a variety of styles on tap, though IPA is perhaps the biggest style on the menu. The prices are reasonable and the happy hour also helps out if you’re looking to try more than a few beers in the session. 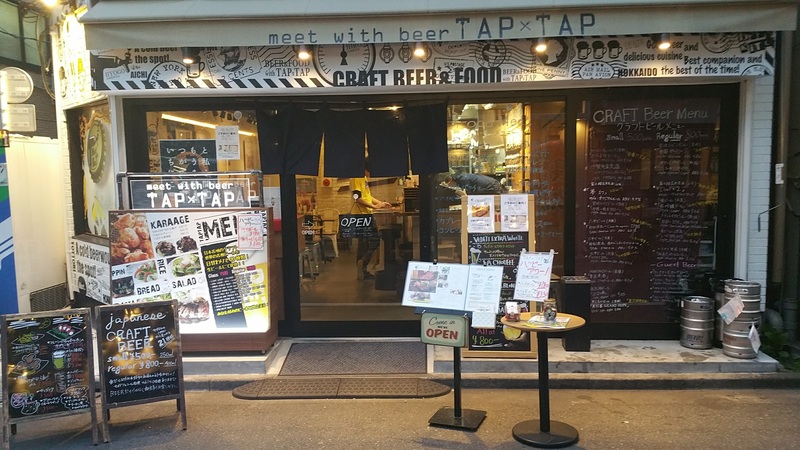 Kanda is fast becoming the craft beer capital of Tokyo thought Tap x Tap should be on your list of places to go if you’re in the area. The bar is hidden down one of the backstreets in the area but go find it! There are usually 20 taps on at Tap x Tap, with a variety of beers on from across Japan; focussing on the Kansai and Chugoku areas of Japan. The prices at Tap x Tap are also very reasonable and are one of the cheapest places to drink in the area too. They will also do you a walking beer, you know, if you get thirsty walking between here and the station. Vivo!, or vivo! 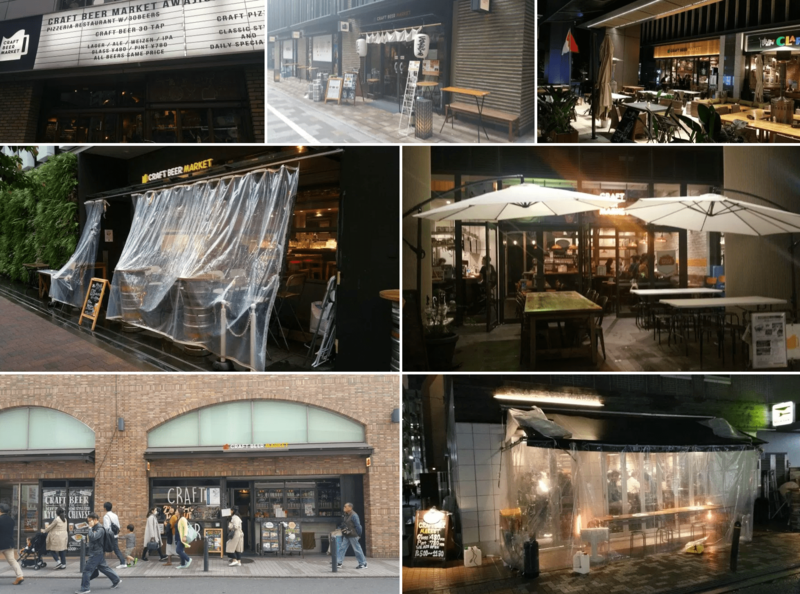 BEER+DINING BAR to give it its full name, has been serving Ikebukuro craft beer since 2003 and is perhaps one of the oldest craft beer bars in the area, and also one of the most popular. Vivo! has around twenty taps of craft beer on, with a heavy leaning to domestic brews, with some imports on. There is usually a good range of beers on tap, with most styles represented by one or two beers. The pricing of the beers is confusing though and Vivo! 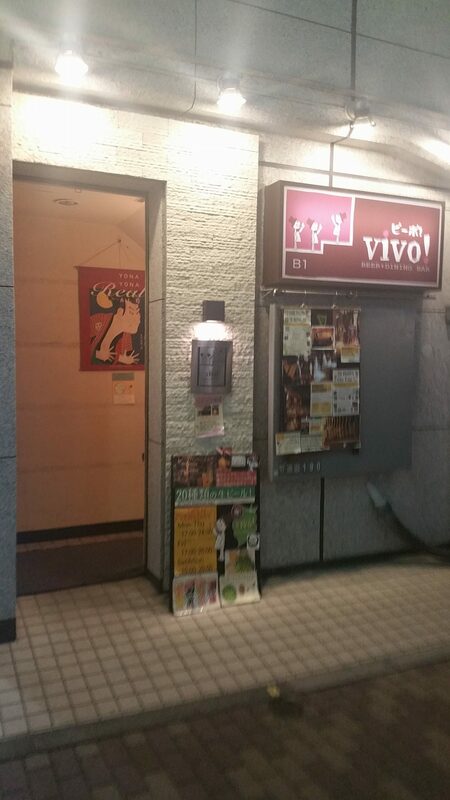 is also one of Tokyo’s more expensive craft beer places to try new beers. Since the price drop, Wiz Craft Beer and Food has become an even more essential place to tick off your craft beer list for Tokyo. The variety of beers on taps does vary, but with 20 on tap, Wiz Craft Beer and Food was pushing Vivo! close for the final place on the list. Why didn’t it? Basically Craft Beer Market in the area just beats it due to prices, though don’t let that dissuade you. 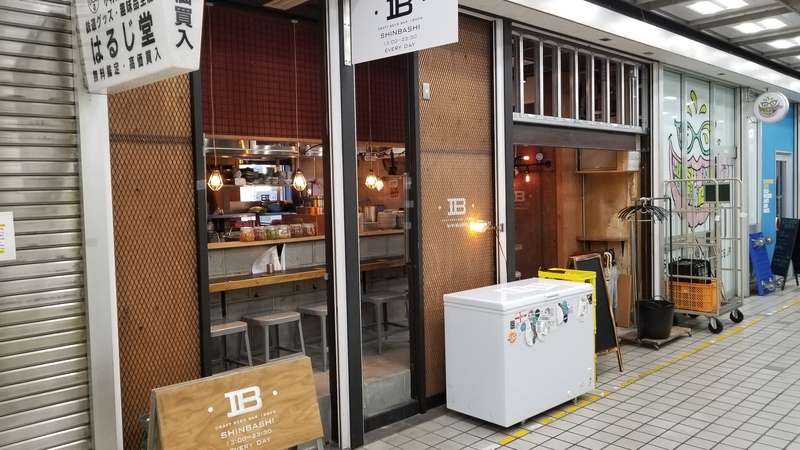 Besides the short and sweet name, Towa The World’s End Craft Beer and Sake and Soba offers up craft beer in an area of Japan that is surprisingly devoid of craft beer bars. They tend to have a minimum of 15 beers on tap, with some variation on tap but it does really vary. I’ve been there when they have 10 different styles on, but also been there when they have a heavy leaning towards IPAs, so you take your chances. It’s not the cheapest place to drink so you might only pop in for one or two. However, like Craftsman, I’ve come across some unusual or hard to find beers at Towa The World’s End. 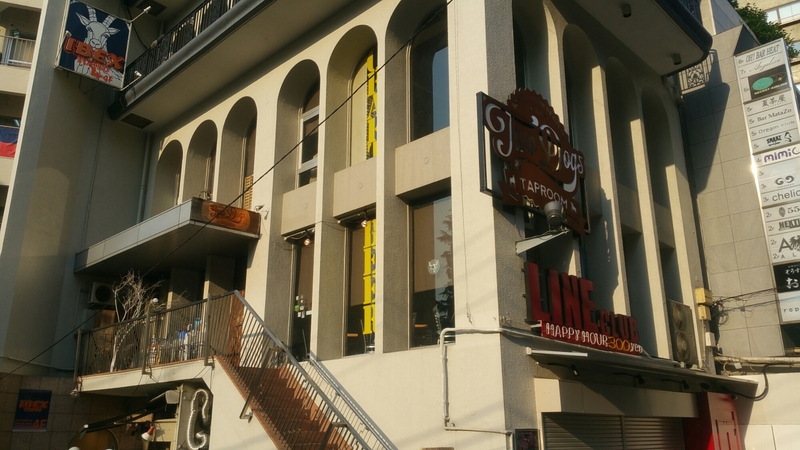 Roppongi must be doing something right to have two bars on this list, but Craft Beer Bar Ant ‘n Bee is Roppongi’s oldest craft beer bar, having opened in 2010 when there wasn’t much else in the area. They have a minimum of 15 taps on at one time with a wide representation of styles on too. The main reason that Craft Beer Bar Ant ‘n Bee doesn’t crack the top ten is due to smoking being allowed throughout the place. A mixed one here as they have 20 taps of craft beer on but the variety – well – varies. Sometimes they have nothing but IPAs on, while at other times it’s varied as they come. 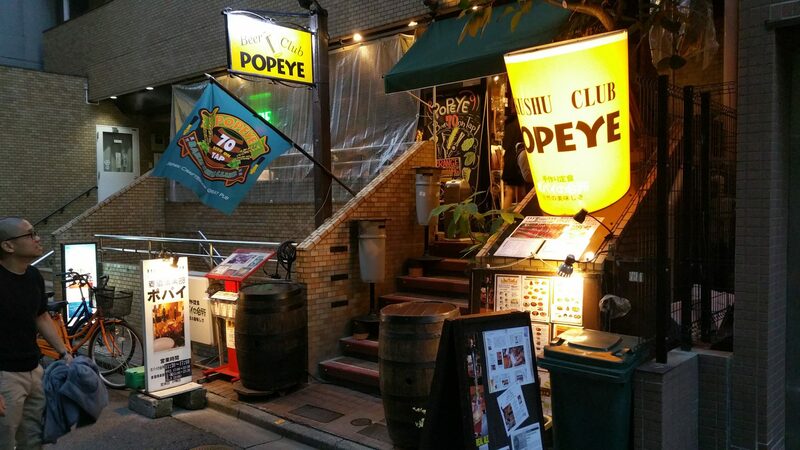 The bar is located near JR Shinjuku station, but the prices are your usual Tokyo amount. Worth a visit if you check out their taplist beforehand and also for the pulled pork and jalapeno pizza too.